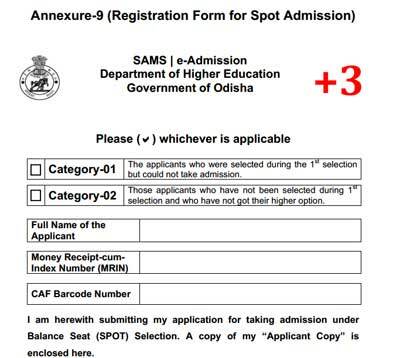 Download the +3 Spot Admission Form for the year 2012 for Colleges in Odisha State,. Remember that the Admission date is on 31. july 2012 at the Respective College. Please Fill up the Form as mentioned in the Details (Read here the Details Page) with the Criteria. The Merit List at the Dheorissa Official Website is published and you can check out the Complete list of Selected Applicants here.